You'll find plenty of places to visit near Perth: Caversham Wildlife Park (in Whiteman), Dolphin & Whale Watching (in Mandurah) and Fremantle (Fremantle Prison & Fremantle Markets). Dedicate the 17th (Mon) to wine at some of the top wineries in the area. 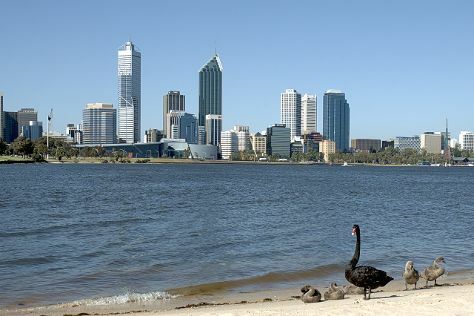 There's much more to do: explore the activities along Swan River, enjoy the sand and surf at Cottesloe Beach, appreciate the history behind Kings Park War Memorial, and get to know the resident critters at Perth Zoo. To see reviews, where to stay, and other tourist information, read our Perth driving holiday planner . If you are flying in from Singapore, the closest major airport is Perth International Airport. In June, daytime highs in Perth are 23°C, while nighttime lows are 9°C. Cap off your sightseeing on the 17th (Mon) early enough to travel back home.